We all look forward to this time of year, children are laughing around the pool, adults are snoozing under a shade tree and I am shopping at a store that is not available in my area. Its VACATION TIME!!! 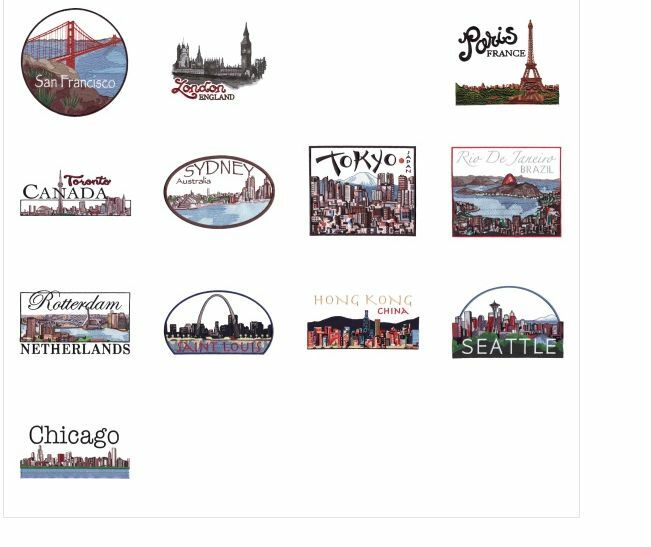 If you are like me, not going to have a 'travel' vacation, I love this design pack - http://www.annthegran.com/Product.aspx?t=1&i=33583 How fun is it to have designs from around the world from New Amazing Designs. I truly could be a shopaholic if I just had the money to do so. . . . But I do love to look at the 'pretties' because they are everywhere and truly the designers today are working their fingers to the bone. Just when I think there is nothing new under the sun, there is something truly exciting just around the corner. 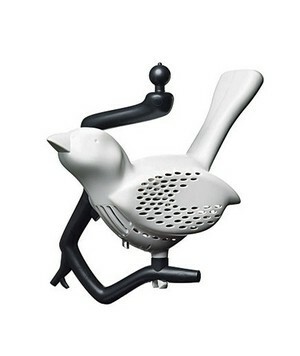 Louise van der Veld took inspiration from the American Black-capped Chickadee bird for this smoke detector. These canaries are known for protecting miners in the early part of the last century to protect them from colorless, odorless gasses. This alarm will sound off at the first threat and has a control light that flashes once a minute under normal conditions. As soon as smoke is detected, an 85-decibel alarm is warns everyone of danger. This is one of those things I wish I had thought of first!!! A food storage wrapping that is reusable and all natural. It is a blend of beeswax, tree resin and jojoba oil combined into a hemp/cotton fabric. The package keeps food fresh and delicious. No more fighting with aluminum or plastic wraps, these are washable (just like a dish in your sink) and reusable for about one year. 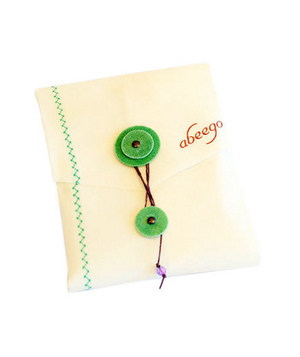 Made by Abeego, it is available in multiple sizes. Don't forget those back home, you want to get something for them too! Forget the frig magnets - no one needs any more cofee cups either - here is a cool idea - bring back the coasters from the places you ate and sipped a little beverage, make a small hole near the edge and use the back sides as 'gift tags!!' These would make great luggage markers as well, glue them on just like trunks of yesterday. Getting back to our favorite topic, a vacation is a great time to discover what others are doing whether in your home town or anywhere in the world. If you are fortunate enough to travel outside of your own country, look at what the locals are doing with their embroidery. Take time to visit an embroidery shop in the city, town or village. There is no rule that you have to see the tourist traps, and with this being YOUR VACATION, chose to soak up the local crafting culture. Check on the tools and techniques that are used in your vacation areas. Look at the crafts, of all types, from the point of view of someone very different from you. What a great time to really get to know others with similar interests. That is where true and wonderful friendships begin, like minded individuals can share and learn from each other. If you know the story behind the AnnTheGran site, Ann and several friends, from all over the world, discovered machine embroidery. They started out just spreading information that each learned. The women began by sharing designs. So little was available on the Internet that they began having 'sites' and they were pioneers, finding their way around and becoming embroidery sites for embroiderer's everywhere. Ann Cobb is a name well known around the world even though she sold this site some time ago. I know that there are others in that group but I don't know their names or their contributions and accomplishments. I know that there are embroiderer's out there that know more about the story of Ann and her friends. Please do contribute anything you can. Perhaps we will here from Ann herself!